Below are the top 10 countries in the world where high gas prices are the norm. The data has been revealed by British insurance firm Staveley Head. The government there anticipates an eventual decline in oil and gas production, and saves state petroleum revenues in the world’s second largest sovereign wealth fund, which was valued at over $500 billion in 2011. Norway is world's 7th largest oil exporter and enjoy strong economy. About 20 percent of the country's revenue comes from petroleum sector. Economy of Turkey mostly enjoys free market and privatizing industry is getting a push. The country is highly dependent on oil and gas imports for 97 percent of its energy. Being fifth largest economy in the eurozone, Netherlands economy grew rapidly until 2008 global financial crisis. Petroleum refining is a key part of the nations' industrial sector. The country is eurozone's third largest economy with highest public perceptions of corruption in the region. It's underground economy make about 17 percent of the GDP. Tax evasion is also a widespread issue. Last year the government passed several packages to balance budget and the gas taxes was increased 24 percent. Claimed being lagging in payment, the Iranian government stopped exporting crude oil to refiners in Greece in February 2012. The country levies high taxes on automobiles as well as on gasoline. 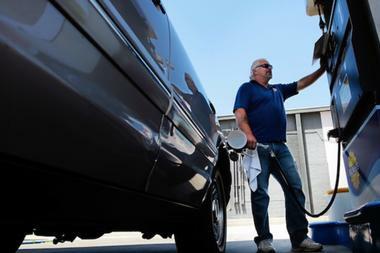 A sales tax of 100 percent is levied on cars and 50 percent taxes on gasoline price. Though Denmark got more oil in the energy mix than US coming from North sea oil patch and not for Middle East, yet people mostly commute by walking, bicycle or public transport. Since March 2010 the prices of fuel have jumped 20 percent. The country has levied energy taxes and carbon taxes on fuel since 1991 imposed on households and giving concessions for industry. In 2006 it rose oil prices to become first oil free country in the world by 2020. Attained independence in 1991, Eritrea is one of the poorest countries in the world with one of the most repressive governments in the world. The country got low per capita petroleum consumption and ranks 168th in the world among 215 countries. In 2011 the motor fuel prices in the country rose by 16 percent compared to 12 percent in the neighboring countries. It is heavily industrialized country with high consumption of petroleum.